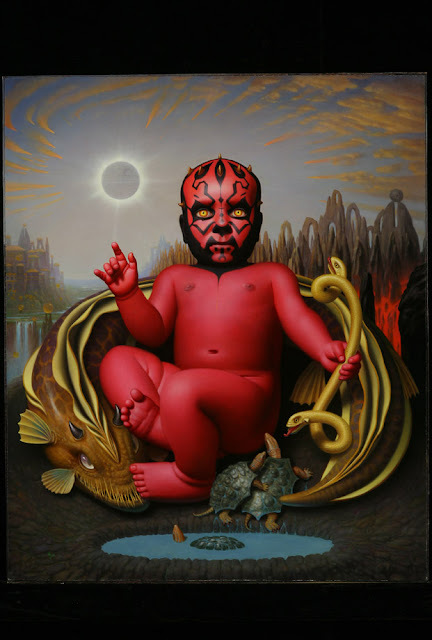 Home » art , darth maul , star wars , star wars visions » Most disturbing Star Wars image I've seen... ever! Most disturbing Star Wars image I've seen... ever! I do try to keep the Star Wars-ish posts on this blog kept to a minimum, but this thing was screaming to be shared with y'all. Is that the Death Star as the Sun? I so want this picture. No, the Death Star is *eclipsing* the sun -- even creepier. The landscape in the background calls to mind Mordor.